A soulful Irishman and a family of immortals are headed to Beantown! The 2013-2014 Lexus Broadway in Boston season will include the 2012 Tony winner for Best Musical, Once, as well as the pre-Broadway world premiere of Tuck Everlasting. The season lineup will also include Million Dollar Quartet, We Will Rock You, A Christmas Story the Musical, I Love Lucy Live on Stage, American Idiot, Flashdance, The Phantom of the Opera and Blue Man Group. Making its world premiere in Boston, the new musical Tuck Everlasting will play the Citi Emerson Colonial Theatre from July 28 2013 through August 18. Based on the 1975 book by Natalie Babbitt, Tuck Everlasting tells the story of a young girl named Winnie Foster and her friendship with a boy named Jesse Tuck and his family, who become immortal after drinking from an enchanted spring. The new show features a book by Claudia Shear, a score by Chris Miller and Nathan Tysen and is directed by Tony-winner Casey Nicholaw (The Book of Mormon). 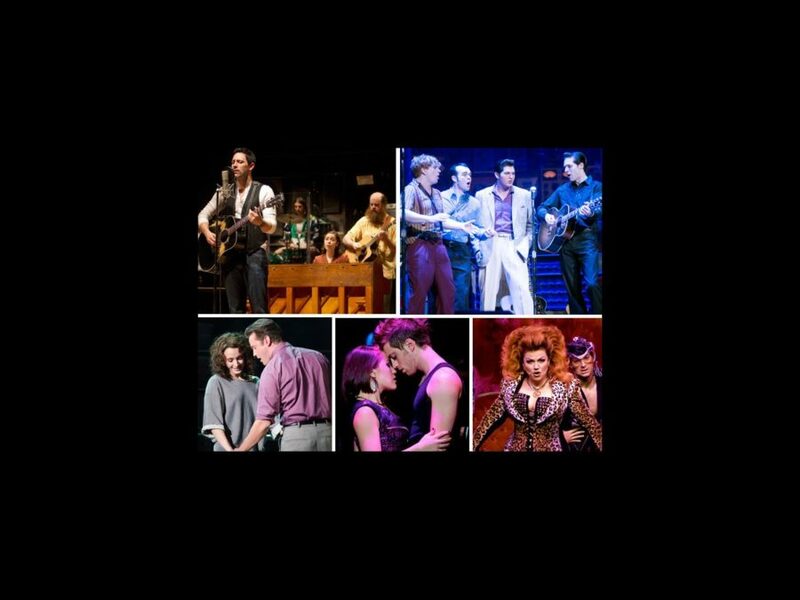 Elvis Presley, Johnny Cash, Jerry Lee Lewis and Carl Perkins will rock Boston in Million Dollar Quartet from October 8, 2013 through October 20 at the Citi Emerson Colonial Theatre. Set at Sun Records in Memphis in 1956, Million Dollar Quartet tells the story of the twist of fate that brought the four music legends together for the only time in their careers for an impromptu recording that has become known as one of the greatest rock jam sessions of all time. The bombastic anthems of Queen will shake the Boston Opera House when We Will Rock You sets up shop from November 5, 2013 through November 10. Featuring 24 hits of the legendary band, We Will Rock You is a guitar-thrashing musical that has delighted over 15 million theatergoers since it debuted in London’s West End in 2002 and has since been seen in 17 countries. Join Ralphie Parker on his Christmas quest to attain the ultimate holiday gift—an official Red Ryder carbine-action 200-shot range model air rifle. The 1983 holiday classic, A Christmas Story, comes to life on stage in a brand new musical featuring the beloved characters and jokes of the film, in addition to stunning new production numbers. Ralphie and his family arrive at the Citi Emerson Colonial Theatre from November 20, 2013 through December 8. The Ricardos and the Mertzs will be up to their tricks again when I Love Lucy Live on Stage plays at the Citi Emerson Colonial Theatre from December 3, 2013 through December 22. The beloved TV show comes back to life as the cast of this innovative new show recreates tapings of two classic episodes on the stage. Packed favorite plotlines, vintage commercials and 50s style, I Love Lucy Live on Stage brings theatergoers inside one of the most successful sitcoms of all time. Winner of eight 2012 Tony Awards, including Best Musical, Once brings the touching tale of two Dublin musicians to life on stage. Based on the Oscar-winning 2006 film, Once features an ensemble of actors who play their own instruments on stage. The musical focuses on a street musician who is about to give up on his dream when a beautiful young woman takes a sudden interest in his haunting love songs. Featuring the award-winning song “Falling Slowly,” Once will open on January 7, 2014 and run through January 19 at the Citi Emerson Colonial Theatre. The hit musical American Idiot returns to Boston to tell the story of three lifelong friends, forced to choose between their dreams and the safety of suburbia. Based on Green Day’s Grammy Award-winning multi platinum album, the show features the hits “Boulevard of Broken Dreams,” “21 Guns,” “Wake Me Up When September Ends” and “Holiday.” The rock musical will open on February 7, 2014 and run through February 9 at the Boston Opera House. Flashdance will shimmy onto the Citi Emerson Colonial Theatre stage from March 11, 2014 through March 23. Based on the hit 1983 movie, Flashdance tells the story of Alex, a working-class girl from Pittsburgh striving to make her dreams of becoming a professional dancer a reality. The show features the hit songs from the movie, “Flashdance—What a Feeling,” “Maniac” and 10 original songs. Andrew Lloyd Webber’s classic will swoop onto the Boston Opera House stage when an all-new production of The Phantom of the Opera opens on June 11, 2014 and runs through July 20. Following an acclaimed sell-out tour of the United Kingdom, Cameron Mackintosh’s spectacular new production of the hit musical will embark on a new US tour. Featuring a brilliant new production and costume design and new staging, the thrilling love triangle between the mysterious Phantom, Christine and Raoul will come alive all over again. Continuing its run at the Charles Playhouse, Blue Man Group will, for the first time, be available as part of the Broadway in Boston subscriber package. The international hit centers on three alien-like men all in blue. The non-speaking but friendly characters guide the audience through a hilarious, eye-popping spectacle that incorporates percussive music, visual tricks, bold lighting and fascinating facts about our world. It’s a sensory overload that will delight all ages.